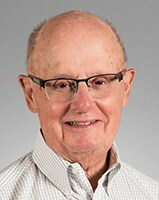 Tom has been working with seniors and others on financial issues for more than three decades, most recently as a volunteer for older members of his parish in Washington and for families and friends. Prior to joining Help Unlimited in 2010, he worked for nearly 20 years as a financial consultant for a major wealth management firm. Tom has been a resident of Washington since 1961 when he came to DC for graduate school. His work experience in Latin America enables him to provide financial services for Spanish-speaking clients.